Give a gift that gives back. After the massive Women’s March on Washington — and its sister marches around the world — in January, the outpouring of support for women’s healthcare around the world after the US implemented the global gag rule, or the support for future female political candidates, women’s activism is having a major moment. So this year, for any moms in your life celebrating womanhood and motherhood this Mother’s Day, let’s continue that activist spirit with thoughtful gifts like donating to maternal health organizations, investing in products that empower women, and ethical purchases that help create a better planet for future mother’s and their children. Mother’s Day is the perfect time to spread appreciation for mothers around the world with a thoughtful gift for the mamas in your life. Here are 13 Mother’s Day gift ideas to spark conversation on global issues, and make the mothers in your life happy. This is not your average soap company. The products from b.a.r.e. are made traditionally with ethically sourced vegan oils, sodium hydroxide, and water. And their impact is far reaching. The company has programs that employ and empower women in slums in India and support health in Uganda. Plus, their packaging is sustainable and plantable. Each soap is wrapped in paper embedded with wildflower seeds. And by not using plastic, they have saved 21,000 feet of plastic packaging. For moms who love clean hands, gardens, and ethical sourcing, b.a.r.e. soaps’ Mother’s Day gift box (under $30) is a great deal. 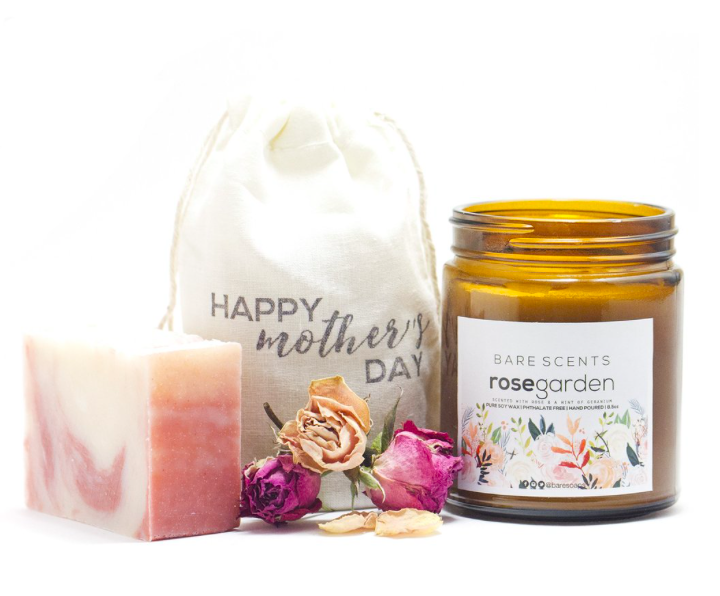 Each Mother’s Day box includes a moisturizing handcrafted bar of soap, and a candle in Fresh Linen or Rose Garden scent. This book is dedicated to the daughter that Maya Angelou never had. It’s a collection of short essays filled with poignant words she would have shared with her daughter. It’s a meaningful Mother’s Day gift in which Angelou beautifully expresses the sentiments that we all feel about mothers. Moms work hard for us each day. Girls and women around the world take on more unpaid household work, in the US and around the world, than men. Make a coupon book the mom in your life can use anytime she wants to get a free pass on any sort of chore. Sure, it’ll be hard work, but you’ll appreciate the work she does all the more, and it’ll be worth seeing her smile. Often, it can be easy to take moms for granted. Moms were often the first ones to remind us about nutrition, education, and women’s rights before we started advocating on these issues in our own lives. So one option for a gift this year is to show and share how meaningful the lessons your mom taught you are by giving back to the community where you were raised. Pick a local organization working on any issue your mom is passionate about, and spend the day volunteering together. Think of all the times the moms in your life helped you with education. Whether it’s life lessons or literal lessons, sending a girl to school in her name is a thoughtful Mother’s Day gift with real impact. The International Rescue Committee can help to provide education for girls vulnerable to missing out on school in regions like Afghanistan, Lebanon, and the Democratic Republic of Congo for an entire year with a donation of $58. Teysha boots, sneakers, and slippers are made from handcrafted woven textiles by empowered artisans, both women and men, in Guatemala. And the company is having a buy-one-get-one-half-off sale for Mother’s Day, so you can treat your mom and yourself with matching pairs. You can pick the textile, and then have leather boots custom made to fit your feet, or your mother’s feet. Skip extensive brunch outings and cook an ethical brunch at home with these delicious vegan breakfast recipes! With recipes like pan-seared oatmeal with blueberries and fresh smoothies there’s something everyone will love. Plus by eating vegan, even for just one meal, you’ll be helping out the planet too. Don’t forget to clean up afterwards. For stylish and ethical shoes Mamahuhu has you and your mama covered. Just in time for spring and Mother’s Day they have everything from rain boots to oxford loafers. 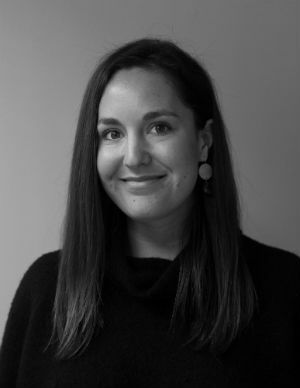 Mamahuhu has 11 workshops in Colombia where they pay 120 artisans fair wages to keep their craft alive in a world where mass production is threatening their livelihoods. You’ve probably seen Numi Tea at grocery stores, but did you know this fair trade and organic tea has saved over 5,000 trees with its sustainable packaging? Its containers are made from 85% recycled materials. And their program Together for H2OPE has brought clean water to 12 villages in India, helping improve water and sanitation for nearly 7,000 people. Help all mothers and children gain access to safe, quality healthcare around the world by making a donation on Mother’s Day in your mom’s name. Check out an extensive list of maternal health organizations from Mom Bloggers For Social Good here and choose from 41 not-for-profits working toward a future full of healthy babies and happy mothers. The Global Citizen Store also has some great ideas that Mom might love. Use code MOTHERSDAY for 15% off your order at the Global Citizen Shop! These Global Citizen socks are made in fair trade conditions with organic cotton. We’ve checked OSHA standards to ensure no child labor exists anywhere in the process of their creation. Want to take this gift to the next level? Show your generosity by giving your mom a foot rub in her new socks. They fit women’s sizes 9 and up and men’s 8-13. For more cute designs and ethically-made socks check out Heart and Sole. Global Citizen has eight ethical pieces of jewelry to choose from in our store. Brands like Akola, 31 Bits, and the Brave Collection are ethically sourced and empower artisans telling a story just as beautiful as the bracelet or necklace itself. Let your mom choose a gift for herself with a Global Citizen store gift card. We email a code to redeem the gift card and don’t have any processing fees. You can order gift cards starting at $10.